Well, after a week without a winemaker interview, we are back with one of Colorado's elite winemakers. Last year, Bookcliff Vineyards won Colorado's second ever Jefferson Cup for their 2009 Petite Sirah (their Ensemble red blend was also a Jefferson Cup Nominee). They continued to rack up top honors as they won two best of category awards at this year's Colorado Governor's Cup. While starting to gain a national reputation for producing excellent wines (see Daily Grape #77), they remain a local favorite. They produce a argosy of wines, their robust reds and luscious muscat-based dessert wines are some of my favorite in Colorado. One of only four Boulder wineries, Bookcliff Vineyards has sort of a split personality. The winery is located in an urban industrial park in North Boulder next to Upslope Brewering Company, but they also own and manage 24 acres of vineyard in Palisade, CO, growing ten different varieties. If you haven't tried a wine from Bookcliff, I urge you to go get a bottle and come back to read our interview with owner and winemaker, John Garlich. In the late 70’s, my wife and I discovered wine. I thought it was so cool that there were all these different levels of flavor and that they evolve with time. I found it intriguing that there were all these different variables that are part of the wine-making process. In the early 80’s, I started making wine from California zinfandel grapes. Since then I have taken classes at UC Davis. In the mid 80’s, we looked at land in Oregon and explored the potential of starting a vineyard and winery there. At that point we did not have the resources to pull it off. In the early 90’s, we discovered Palisade on our way to Moab. After visiting some wineries in Palisade we thought it had lots of potential. We took out time finding the best vineyard property in the valley. We bought a ten-acre peach orchard and converted it to a vineyard. Initially, we sold most of the grapes to other wineries. 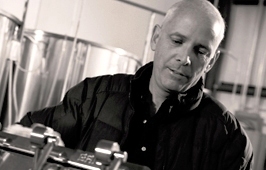 We started our winery in 1999. We have expanded our vineyard area to 26 acres, and now use most of the grapes for our winery. I would be structural engineer working on commercial buildings. I have worked on the Colorado Convention Center, Coors Field, DIA and numerous office buildings all around the country including Hawaii. Backpacking, cross country skiing and traveling. Zinfandel. Actually we will make our first Colorado zinfandel this year. It should be released sometime next summer (2012). Napa, because I would get paid more. 1979 Lytton Springs Zinfandel. A small winery in Sonoma that was eventually bought by Ridge. Classical music; lots of complexity and nuance. Bargain. I would gladly put our wines in a blind tasting up against any wines in the world at the same price point. The Colorado Wine industry should be much bigger and should have earned a spot in the top four states for wine quality. What do you like about Colorado Wine?